-Sunday, May 12th: 9:30-11 a.m. .......... . 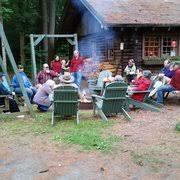 Morning Community Campfire. Coffee and baked goods. -Saturday, May 25th: 9:30 Opening of the TFCG Treasure Hunt! Ask for directions at the office. - Saturday, July 6th and 7th: CHRISTMAS IN JULY! NEW! -Sunday, July 7th: 9:30-11 coffee and baked goods. Announcement of Best Decorated site 10 a.m.
LABOR DAY WEEKEND: Science weekend! NEW! Fri., May 25th, 7:30-9:30 pm, Jesse Colin Young, Woodstock Town Hall Theater, 31 the Green, Woodstock, tickets at pentanglearts.org $50. Fri., May 25th, 7:30-9:30 pm, Confluence Project Lantern Paddle, The Marina Restaurant, 5 Putney Rd, Brattleboro. Sat., May 26th & Sun., May 27th, 10 am-5pm, Vermont Open Studio Weekend (all through Vermont, look for bright yellow signs, over 220 open studios. Sat., May 26th & Sun., May 27th, 10 am-5pm, Open Studio, Scott MacDonald Custom Instruments, 660 Mattson Rd, Chester, Vt. Sat., May 26th, 1-5 pm, Open House Garden Party: SueDan Industries,566 Chester Rd, Springfield, VT. Sat., May 26th, 7pm, Live Music with Owen Nied, Stone Hearth Inn & Tavern, 698 Vt Rt 11 W., Chester. Thur., May 31st, 6-9 pm, Ida Mae Specker, Live Music @ Hartness House, 30 Orchard St., Springfield, VT.
Fri., June 1st, Sat., June 2nd, 7-9pm, Mon. June 3rd 2-4pm, and Fri., June 8th, 7:30-9:30pm, You’re a Good Man, Charlie Brown: Springfield Community Players, 165 South Street, Springfield. Tickets @ springfieldcommunityplayers.org $12-$15. Sat., June 2nd, 10-4:30 pm, Rise on the River: Culloden, Fort No. 4, 267 Springfield Rd., Charlestown, NH Scottish Heritage Weekend Saturday and Sunday 10 am. Fri., June 15th, 3pm to Sun., June 17th, 7pm, Festival: Quechee Hot Air Balloon, Craft & Music Festival, 70 Village Green Circle, Quechee, Vt. Thur., June 21st to Sun., June 24th 5pm, Wonderlust Festival @ Stratton Mountain, Yoga, live music, food, beer and more., call 800-787-2886 for details. 5 village Lodge Rd., South Londonderry, Vt.